While hot pot can be very versatile in the type of ingredients that people choose, a new hot pot combo from China is seemingly trying to test the very limits on what’s possible. 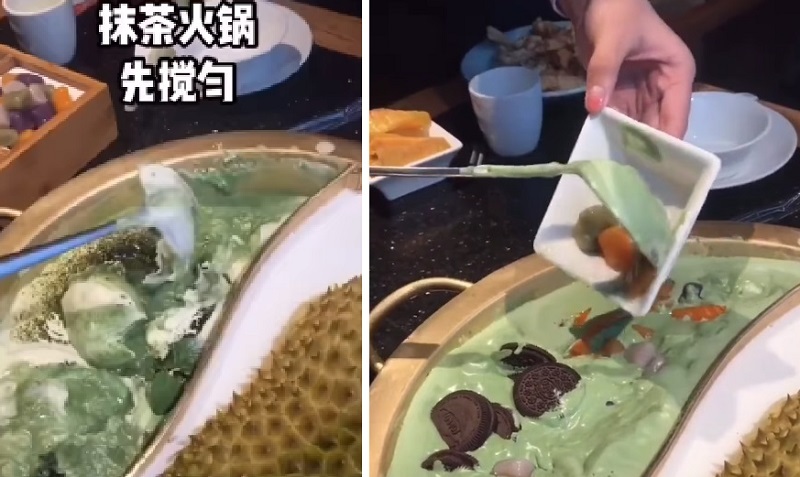 A video of a matcha and durian hot pot combo has emerged online and it’s already confusing a lot of people on how and why such a dish could exist. 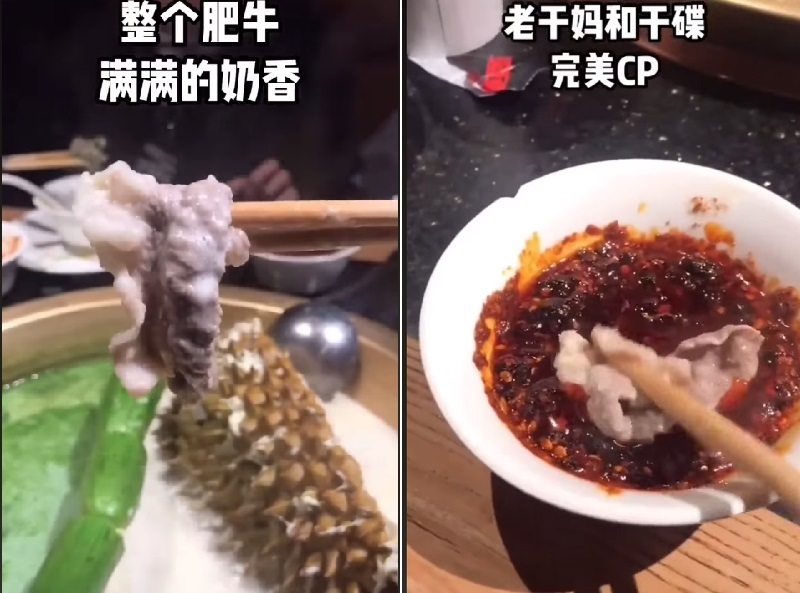 The clip, shared by Shanghaiist, shows customers adding other odd hot pot ingredients such as Oreos, yam balls, and sweet potatoes to the “broth” made of matcha. Beef, chicken, and other hot pot staples are added to the thick green mixture when it started to boil. Meanwhile, the durian broth is said to be a mixture of coconut milk, durian fruit, and even the durian husk. The soup apparently complements the beef slices with a strong milky aroma which probably goes well with lao gan ma chilli sauce. According to Mothership, the strange-looking hot pot is likely from Spice World (Xiang Tian Xia) restaurant, a popular hot pot chain in China. Spice World has been known for their unique takes on hot pot dishes, including the variety of sweet “soup” base flavors they offer.